I have decided to start a new post series call Sunday Showcase. 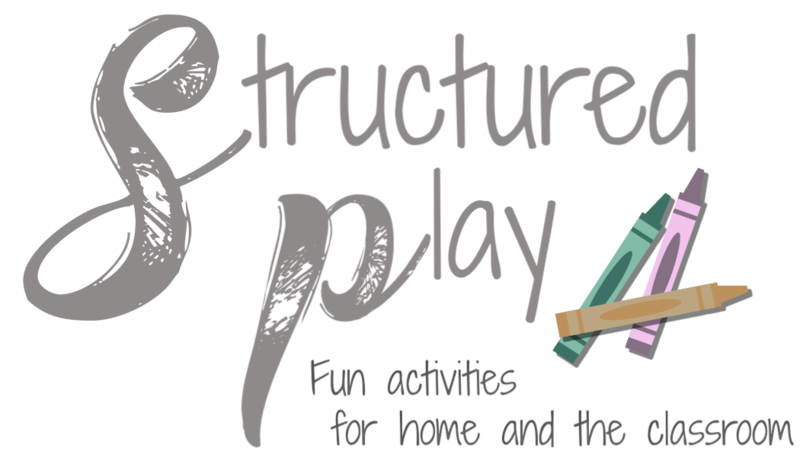 This will be an opportunity for followers to show off some of what they have taught, practiced and created using the ideas they have found here at Structured Play! This week we are starting with Susana from Spain. She and her 17 month old daughter have been busy at work! These projects are from November. (I am late getting things rolling!) 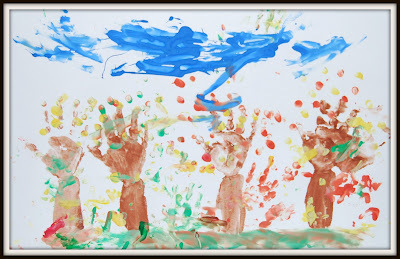 Pictured above is the painting project where we used the child's hand an arm for the truck and finger prints for the leaves. Emma did a great job! I love the blue sky as well! They have also started using Sensory Boxes! Here is her autumn box with pine cones, beans, leaves and some seeds. Everyone loves the Sensory Boxes!! It makes me so happy to see others using my plans and having a fun, learning experience from them! Thank you Susana for sharing your experiences! And keep them coming! You can see more of what Emma and Susana are up to at http://emmarubio.blogspot.com/. If you are interested in sharing some of your projects, successes or even lessons learned please send an email with your story!